It seems that central Florida is in a constant building boom. That means heavy trucks and construction vehicles of all kinds share the road with passenger vehicles. When an accident occurs, the occupants of the passenger vehicles are more likely to become seriously injured. Construction truck accidents can happen on a construction site itself as well as on public roadways. One of the keys to success in a construction truck accident claim is to identify all parties who caused the accident and who are possible sources of liability. We may pursue compensation from the driver, the general contractor, the truck’s owner, among others. Construction truck accidents can be caused by driver fatigue or inattention, lack of proper conspicuity markings, improper backing, lack of flagmen, failure to obey traffic signals, and failure to comply with relevant regulations. A crash with a construction vehicle can cause permanent injury, such as brain injury or spinal cord injury, as well as wrongful death. 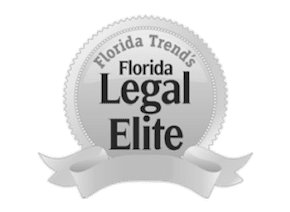 If you or a member of your family has been injured by any type of large truck or construction vehicle, you should contact an Orlando auto injury attorney today for a free case review.